Manufacturers are adept at investing in their companies, staying on top of the latest technologies and bringing in the newest products to move them into Industry 4.0 territory. 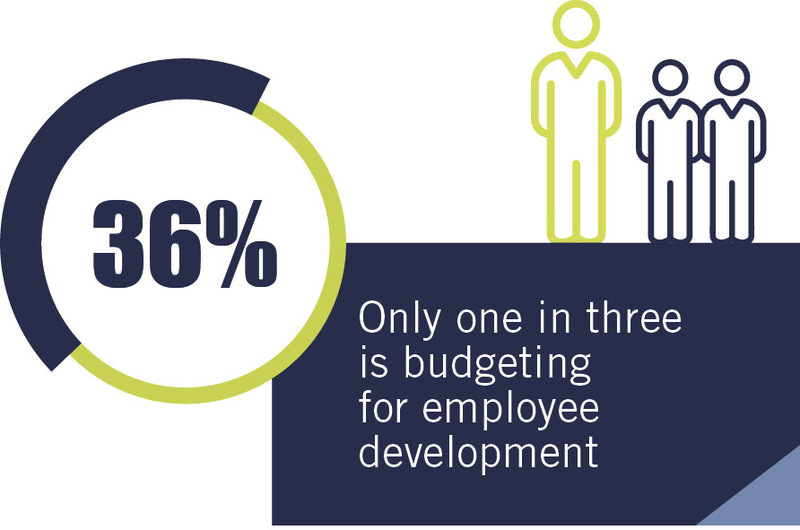 A new report from Tooling U-SME, however, shows that they could be doing more to invest in one of the most important components of a successful manufacturing landscape: the education of the current and future workforce. 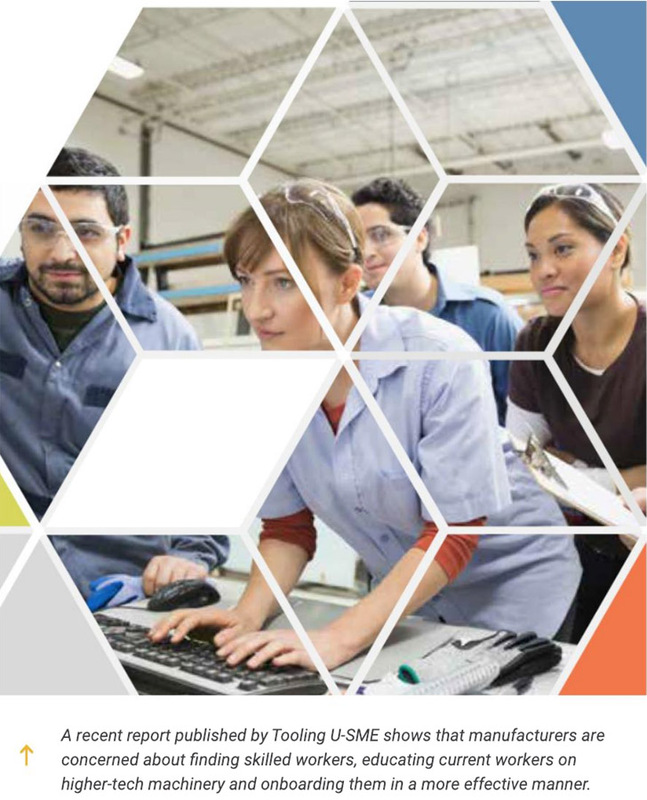 Tooling U-SME, a manufacturing training solutions provider and the workforce division of SME, an association of professionals, educators and students committed to promoting and advancing the manufacturing industry, last delivered an industry report in 2013. Compared to the earlier report, the “2018 Manufacturing Workforce Report” shows there has been an unfortunate shift: 99 percent of the 500-plus manufacturers that responded to inquiries say they are challenged to find a skilled workforce. That’s up from the 94 percent that reported the same in 2013. Another change from the previous report is that in 2013, there was a manufacturer focus on the need to find qualified people and now the focus seems to be more about educating their existing workforce. Kunz explains that after companies recovered from the recession, the rebound included buying new capital equipment and investing back into their businesses. To get the most out of the new high-tech machinery, however, workers need to be “upskilled.” This is something Kunz is not only seeing in her team’s reports, but also firsthand when they work directly with manufacturers on their education and training programs. According to the report, 92 percent of respondents said upskilling the incumbent workforce is one of their top challenges. A side effect is that more challenges are created, including quality issues, production setbacks and tool breakage. Essentially, employees aren’t able to leverage the machine properly, and they’re having maintenance issues because of it. When programming a CNC machine, operators know that there are a lot of variables to consider when processing a part. Getting any of these variables not quite right can cause quality and productivity issues and, potentially, customer dissatisfaction. Bringing in a new employee can have similar side effects if all the variables aren’t in place for successful development or appropriate preparation. The employee’s performance will suffer and, ultimately, employee retention will suffer, too. This mirrors an issue involving how new employees are introduced to their jobs, known as “onboarding” to human resource professionals. Career technical education (CTE) is an important aspect of overcoming the skills gap, and it’s one that has improved. Manufacturers are making investments in programs to educate high school students, as well as develop programs in community colleges. Properly onboarding a worker takes time and energy, which can fly in the face of production goals. This is probably why 84 percent of respondents in the report said onboarding is one of their top concerns. Companies that get it right are standardizing the process, which means they’re documenting every possible aspect of a person’s training. They’re not just tossing them onto the shop room floor and having them learn through the process of trial and error. Companies that are onboarding correctly are also mentoring new workers, transferring decades of experience from the soon-to-be retired so they don’t experience “brain drain,” which refers to when skilled laborers retire and take all of their knowledge with them. A proper on-the-job training and onboarding process completely breaks down how a worker performs tasks, documenting each step of the process as the new worker learns the ropes. Not only does it help identify training areas that may be lacking, but it also helps in the case of an accident. Kunz admits that given the day-to-day challenges that manufacturers come up against, completely rethinking how they develop skilled workers is not easy. Smaller businesses often lack the core competencies to truly meet the challenge. Despite her deep understanding of what it takes to launch a successful onboarding program, Kunz can empathize with manufacturers. They have a slew of issues to focus on: production issues, customer demands, equipment failures, keeping three shifts operating at optimal levels and dealing with all sorts of random problems as they surface. The goal at SME, therefore, is to continue to work with manufacturers to determine the best ways to help in such fast-paced environments. This graphic from Tooling U-SME’s 2918 report details how a focus on meeting production goals takes precedence over quality development programs. To that end, Tooling U-SME believes there are different paths to success, and an important one involves an investment in career technical education (CTE). Fortunately, there is a resurgence in CTE, and it includes manufacturers that are writing checks to ensure today’s youth have a pathway to careers as skilled laborers. “We consider CTE programs absolutely critical in helping to solve the skills gap,” Kunz says. Not all jobs require a four-year degree, and while some CTE learning can come through that channel of education, it’s through high schools and community colleges where most of the robust CTE programming is taking place. In some cases, workers take what Kunz refers to as an “on-ramp and off-ramp” approach. They’ll go through a CTE program, get a job with a manufacturer and then continue their education, sometimes through the employer helping them out with tuition for a two-year degree that furthers their career. The 2018 report from Tooling U-SME actually shows improvement in this area: Manufacturers are stepping up in a big way. Honda, Ford, General Motors, Arconic and Pratt & Whitney are just a handful of the many large companies that are helping to develop CTE programs that ensure schools of all types are able to do what they need to help build and develop a skilled workforce. While there has been an uptick in manufacturers taking a more proactive role in developing a skilled workforce, it hasn’t necessarily turned into a true movement. Perhaps thinking of human capital as a crucial part of the supply chain could be the catalyst. Kunz brings up an interesting point regarding how manufacturers are dedicated to their supply chain: Each and every raw material is carefully considered, as are the tools and equipment that handles and forms each individual part, all of which are critical in the production process. 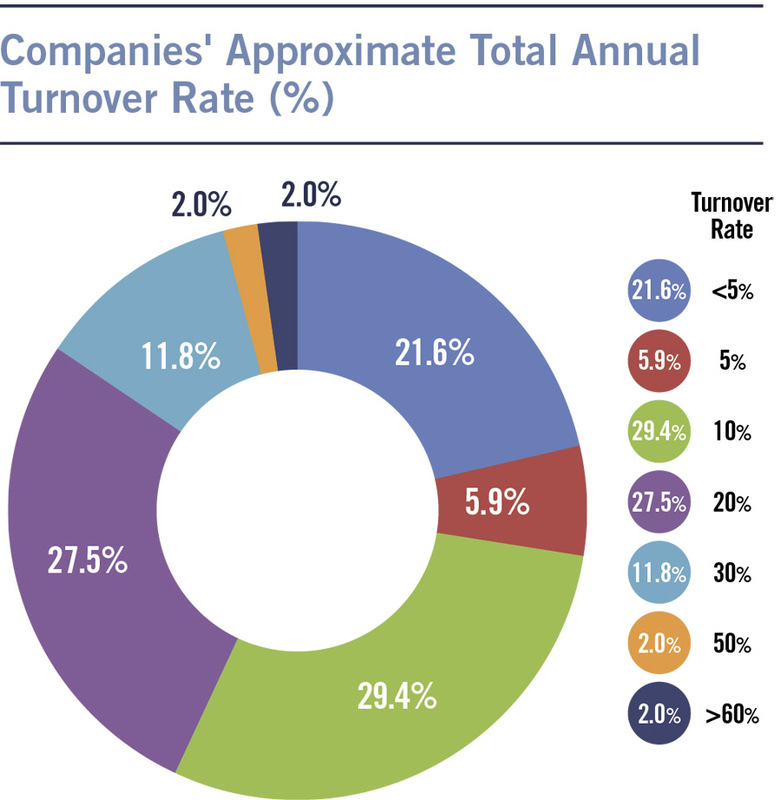 Without a proper onboarding program, manufacturers face higher turnover rates.